Each weekday morning at 11 a.m. EST, OneDesk looks at a different challenge in the area of social product development, proposing elegant solutions that will help you and your teams improve visibility across the organization and refine your collaborative processes. 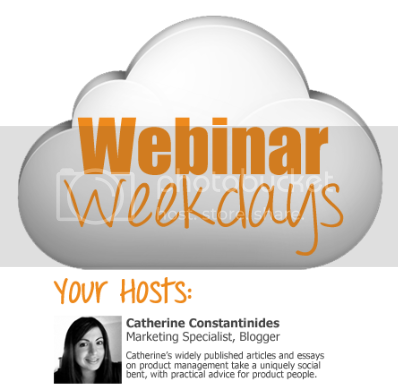 Due to the holidays, the OneDesk Webinar series is on hold this week. However, we hope that you will join us for more exciting demonstrations of of the industry’s only integrated suite for social product co-creation, development and collaboration. New to OneDesk? This webinar will show you how to get your account up and running quickly. You’ll also learn some helpful tricks on how to make your work environment a social and collaborative one. OneDesk’s feedback management system allows you to gather feedback from various sources into one place, without them getting lost. You’ll learn all about how to do this in this Webinar. We’ll also focus on how to engage with customers with OneDesk’s unique customer portal. In this Webinar, you’ll learn how to manage your requirements in OneDesk, as well as how to analyze them based on what’s important to you company, and how to easily integrate them within projects. In this webinar, you’ll get an insightful overview OneDesk’s unique issues and tasks application, which allows you to combine Agile project management with issue fixes and develop complete, customer-centric products. Learn about how OneDesk’s automated product roadmaps are built from inputs across the platform, from ideas and issues to requirements and tasks and all the people, costs and more data that helps make decision-making a breeze. Is there anything you would like us to cover in our webinar series? Let us know!